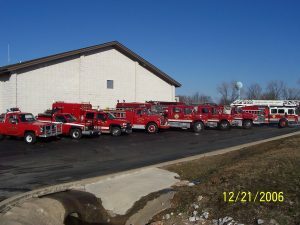 Pictured, the Duenweg Volunteer Fire Department, located at 303 Wolf Drive. 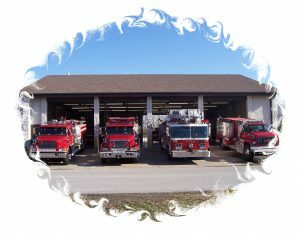 The Duenweg Volunteer Fire Department (DVFD) was established in 1958 with Lester Watson fire chief. In January, 1960 Don Johnson was named Fire Chief and served as chief until 1998. Allyn Reding was named fire chief in 1998. In August, 1984 the Duenweg Volunteer Fire Department became a 501( C ) 3 Corporation (Not For Profit Corporation) controlled by a 4 member Board of Directors. In 1986 the Duenweg Fire Protection District was formed with 3 elected Board of Directors. The district includes the cities of Duenweg and Duquesne and unincorporated areas in Jasper County. 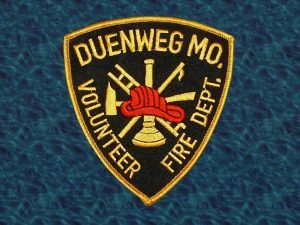 The Duenweg Fire Protection District signed a contract with the Duenweg Volunteer Fire Department, Inc. to provide emergency service in the district. In June, 1991 the Duenweg Volunteer Fire Department, Inc. moved into its new building at 303 Wolfe Dr. In the beginning years the DVFD had 19 volunteer members and made a average of 75 calls per year. In 2013 the DVFD had 27 volunteer firefighters and first responders with 2 paid, 5 part time, and 3 resident staff members and made 915 calls. The Annual Chili Supper is in April of each year. Please check back in 2017 for more information. Thank you for supporting your Duenweg Fire Department! Please look for tips concerning fire safety in City’s Newsletter under the City Documents Tab located in the upper right hand corner of this page. Everyone needs to look at your homes and make sure they are numbered. It is very important that we can see these especially while responding to an emergency. If you have a storm shelter, make sure to have it Cad flagged. Come by the Duenweg Fire Department to fill out a form with the location of your shelter. These will be placed in the Cad Dispatch database so that in the event of an emergency, your shelter can be located. Are you interested in becoming a member of DVFD?